Making your kids eat veggies is some TASK! I have a 5 year old, and I have been reading and following all sorts of “How to make your kids eat healthy food ” from whatever sources I could get my hands on, but still, she has that inbuilt abhorrence for all sorts of veggies . And no.. I haven’t stopped trying.. I’m still on it. Yes, everyday I’m trying to think of ways to sneak in some veggies in her meal.Im sure, all you mums do that .Never give up ! Kudos to all of you . Indians have this magical food called “paranthas’ for kids, and I call it magical because for kids it is really healthy and tasty, and yes they like it. 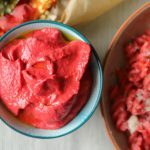 It becomes quite versatile, because you can add any kind of flour, any veggie puree, leftovers, any lentils or any spices to the dough and it turns out great. My daughter loved paranthas too, but suddenly she has started preferring pastas, pizzas and pancakes over paranthas or pooris. So I have had to up my creativity game, and look for ways to make these healthier. 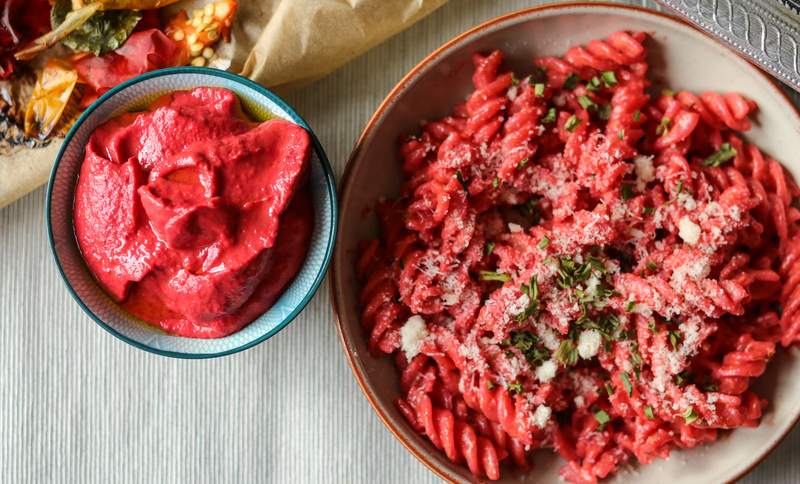 Pasta is basically carbohydrates, and to add more to it you have to add veggies, or meat, so that it is a complete meal. But kids prefer plain pastas, at least mine does. So I cannot add chopped veggies, hence I have to sneak in the veggies somewhere in the sauce, so that she eats it. The classic sauces are always a hit, but I needed more to it. I tried twisting the tomato sauce, and adding more veggies to it. It has turned out to be really flavourful, and a bright pinkish orange colour, which all the kids are going to love. 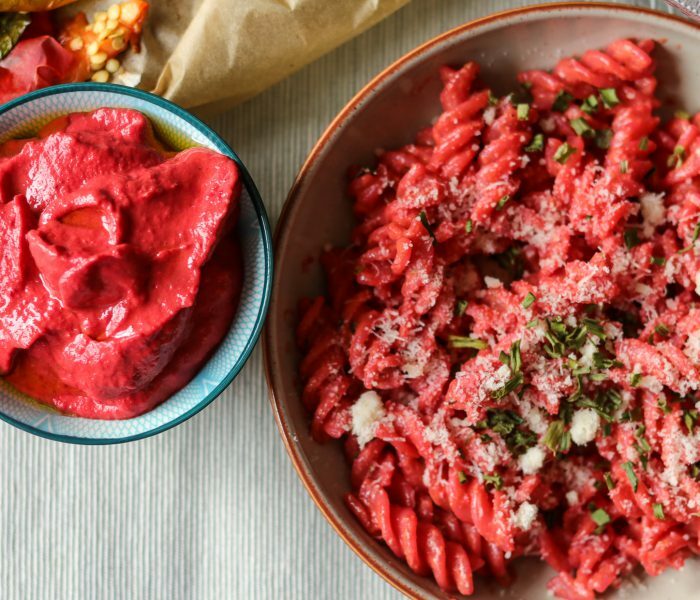 The interesting ingredients for this sauce other than tomatoes, onion and garlic are the yellow and red peppers, beets, apple, nuts and some more seasonings. Thats it !!! Not too much fuss, not too much mess. 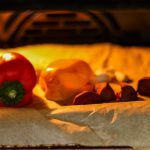 To start with, roast half a red pepper, half a yellow pepper, 3-4 garlic cloves (unpeeled), half an apple (peeled and sliced), 1 small beetroot (peeled) @190 degrees for 15-20 minutes.Let the veggies cool down. 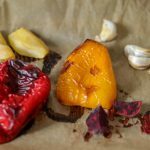 If you do not want to use an oven, you can char the peppers directly on gas flame, for 4-5 minutes, till the skin of peppers I charred. And you can dry roast the garlic and apples in a pan for 5-7 minutes. In a pan heat little oil, and add chopped onions. Sauté it for 3-4 minutes, till it is slightly golden. Add chopped tomatoes, and sauté, till these are cooked. Tomatoes start leaving oil. Add some sea salt (or regular salt), and few whole pepper corns.Let cool. 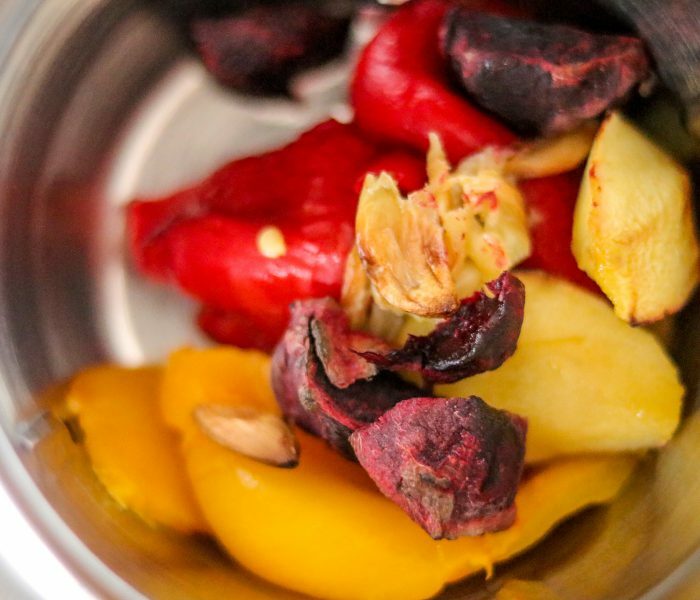 Once the roasted veggies are done, deseed and peel the skin of the peppers. Squeeze the garlic out of the skin.Add the roasted peppers, garlic, apple slices, beetroot, and sautéed onion tomatoes. Add cashews, parmesan, EVOO , and blend everything till it is a smooth puree.Check and adjust seasoning. Tadaaaaaa…… the sauce is ready. 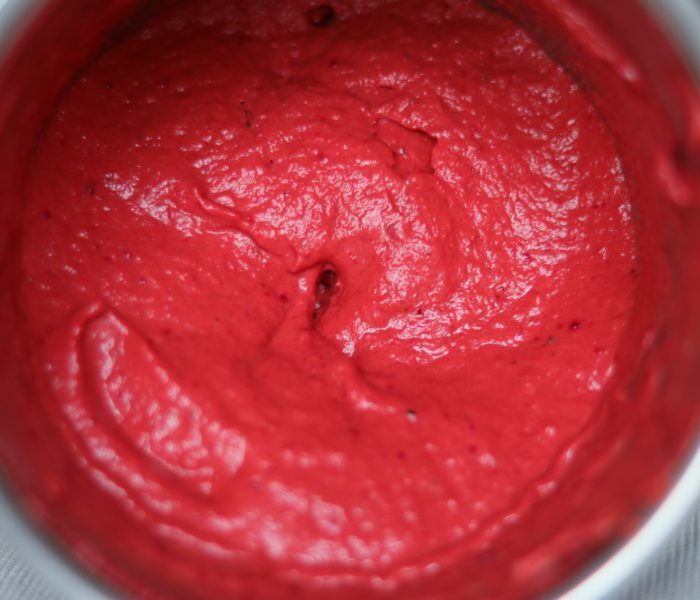 You can prepare this sauce, and store in an airtight container in a fridge. It will last for 7-10 days. Mine did not last, cause it was wiped away any my daughter and my husband. Or you can use it to top your pasta as and when it is ready. P.S. 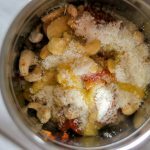 It also works great as a dip, with veggies, salads, or bread sticks.Try it whatever way you like to, and don’t forget to tag us , and comment below if you try making this.I would love to hear from you. Another pasta sauce or dip you can find on my website is peas and avocado pesto. 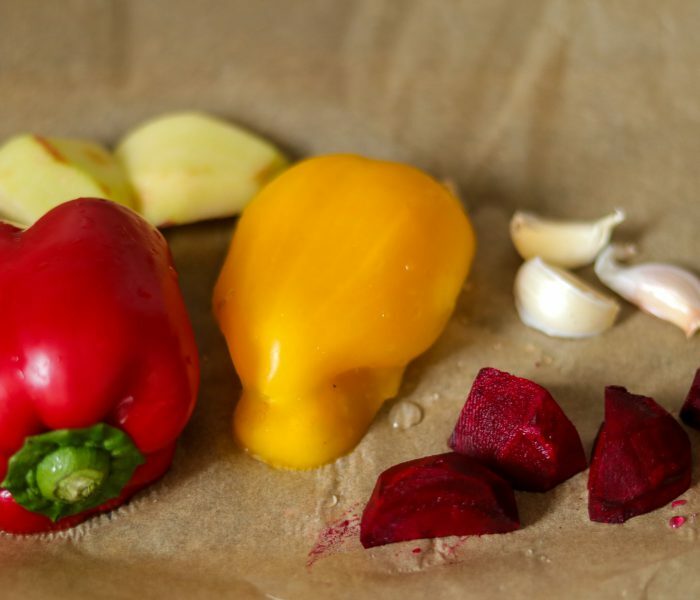 Keep red pepper, yellow pepper, (facing cut side down), garlic cloves, apple , beetroot , in a roasting tray, and roast @190 degrees for 15-20 minutes.Once roasted, let the veggies cool down. 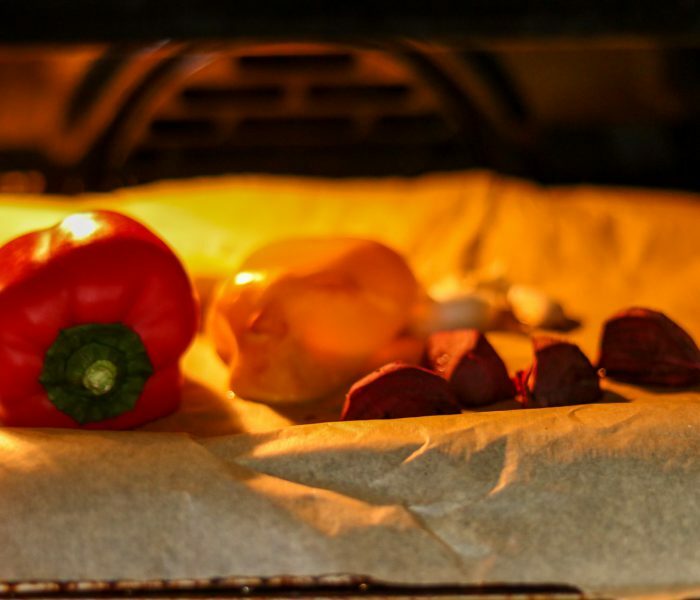 If you do not want to use an oven, you can char the peppers directly on gas flame , holding and turning directly over flame for 4-5 minutes, till the skin of peppers is charred. You can dry roast the garlic seperatly in a pan for 5-7 minutes. 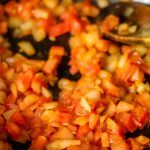 Apple can be chopped and added to the onions and tomatoes to be cooked, in the next step. In a pan heat little oil, and add chopped onions. Sauté it for 3-4 minutes, till it is slightly golden. Add chopped tomatoes, and sauté, till these are cooked. Tomatoes start leaving oil. Add chopped apples at this time, and cook for another 5 minutes. Add some sea salt (or regular salt), and few whole pepper corns.Mix well and Let cool. 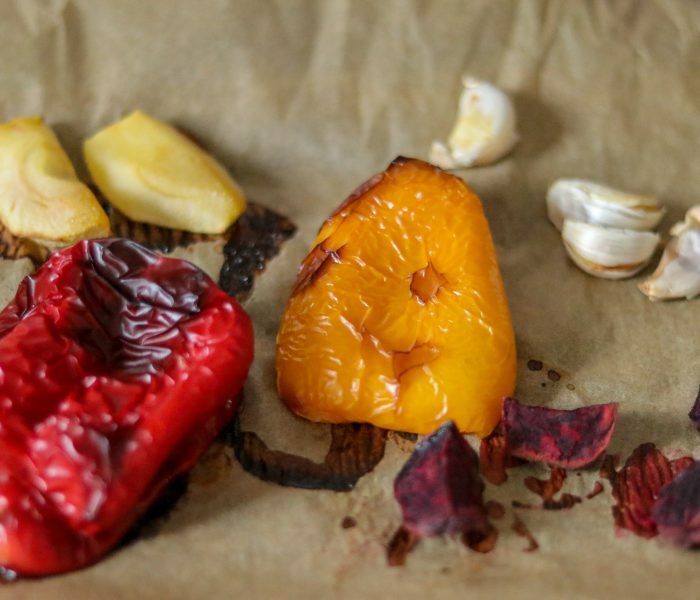 Once the roasted veggies are cool, deseed and peel the skin of the peppers. Squeeze the garlic out of the skin. 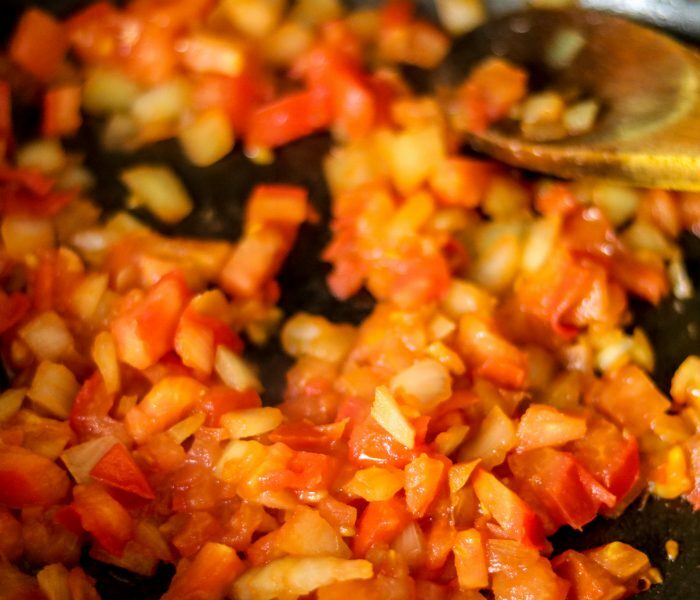 Add the roasted peppers, garlic, apple slices, beetroot, and sautéed onion tomatoes in a mixer. 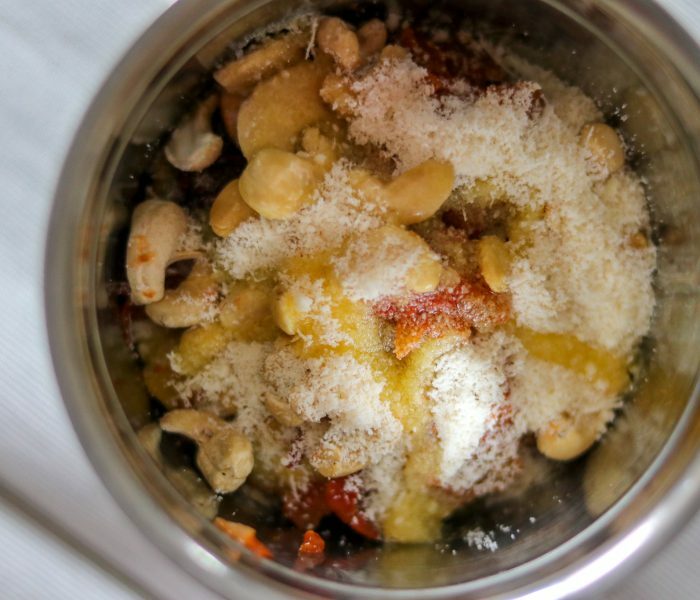 Add cashews, parmesan, EVOO , and blend everything till it is a smooth puree.Check and adjust seasoning. 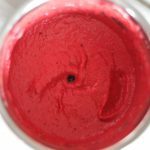 You can prepare this sauce, and store in an airtight container in a fridge. It will last for 7-10 days. Or you can use it to top your pasta as and when it is ready.